Even though I had a lovely brunch at Magnolia Bakery Cafe at Ala Moana Center not too long ago. I was way too full to indulge in any sweet treats. 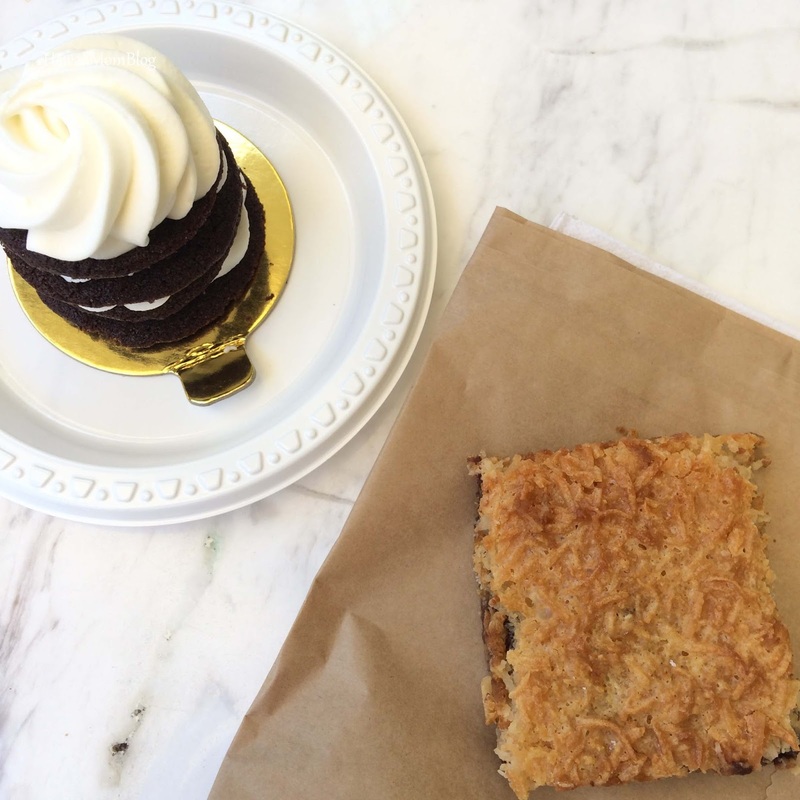 After having lunch nearby recently with Nat, I finally got to try some of the sweets at the Magnolia Bakery kiosk. 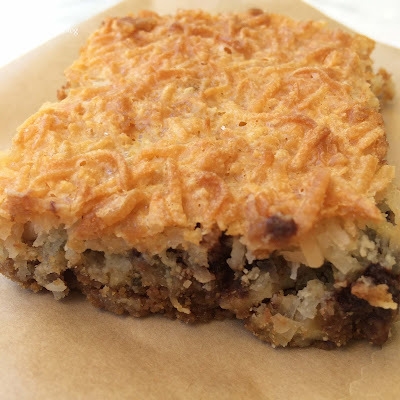 Although I've heard wonderful things about the famous Banana Pudding, I decided to get a Magic Cookie Bar. The combination of the chocolate chips, nuts, and coconut atop a graham cracker crust was just too hard to resist. It was a very delicious, generously-sized bar. 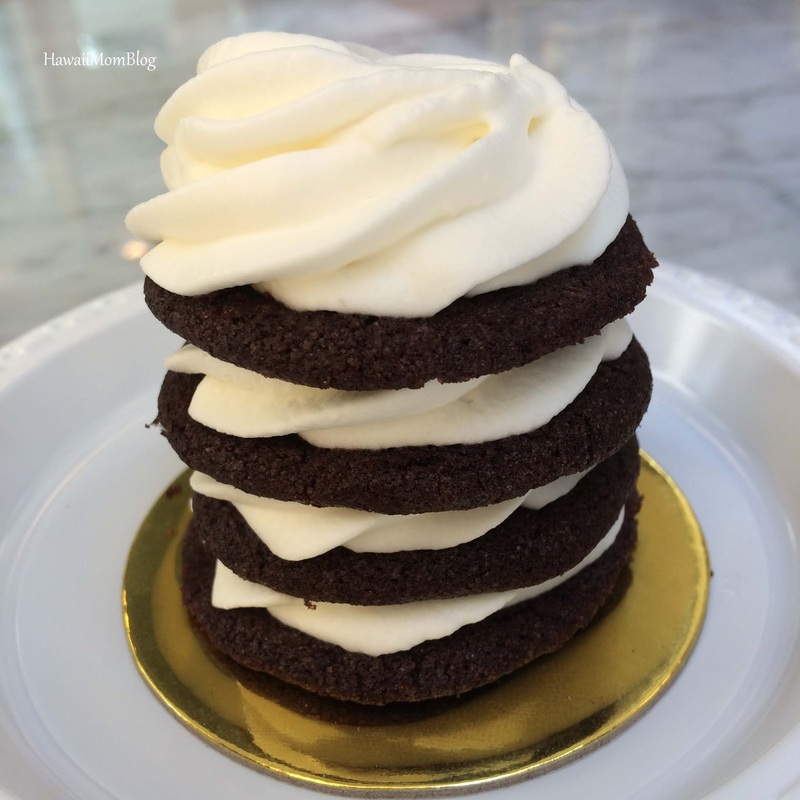 Nat opted for the Individual Icebox Cake, which consisted of layers of chocolate wafers and whipped sweet cream. She said it was good and light. We were both happily satisfied with our desserts. And maybe next time I'll try the Banana Pudding!